Special agent Carl Hamilton has to save his goddaughter who has been kidnapped by terrorists. 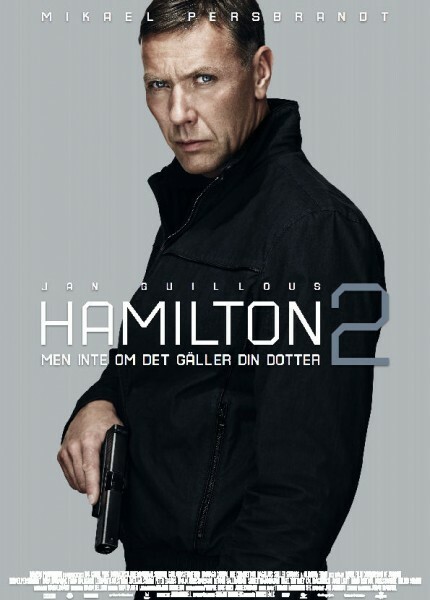 Carl Hamilton is played by Swedish actor Mikael Persbrand who we know from the Beck TV series. Generally, Mikael Persbrand is a good actor, but in this movie he we mostly see his stone cold killer face (he does not show any emotion). In general, Sweden is considered to be a pacifist nation. However, this movie is an exception, and Carl Hamilton does not seem to have any problems killing terrorists in the nation's interest. This was my first Hamilton movie, and I watched the movie with low expectations. Still, I was not impressed. The action scenes are OK, but not spectacular in any way. Besides, most characters are boring stereotypes. "Hamilton 2 - But Not If It Concerns Your Daughter" is not able to compete against its more successful Hollywood blockbuster competitors. I would rather recommend the latest Bond movie (Skyfall) or the three movies about Jason Bourne instead of this one.